I am SO excited that baby girl’s nursery is FINALLY complete! 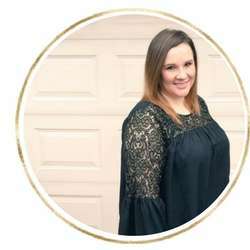 It seems like every time we turned around, one of us was sick, we were traveling or we suffered another setback in getting her nursery put together. Nesting mode has recently hit me like a ton of bricks, so for the past few weeks I’ve been working toward completing her nursery. 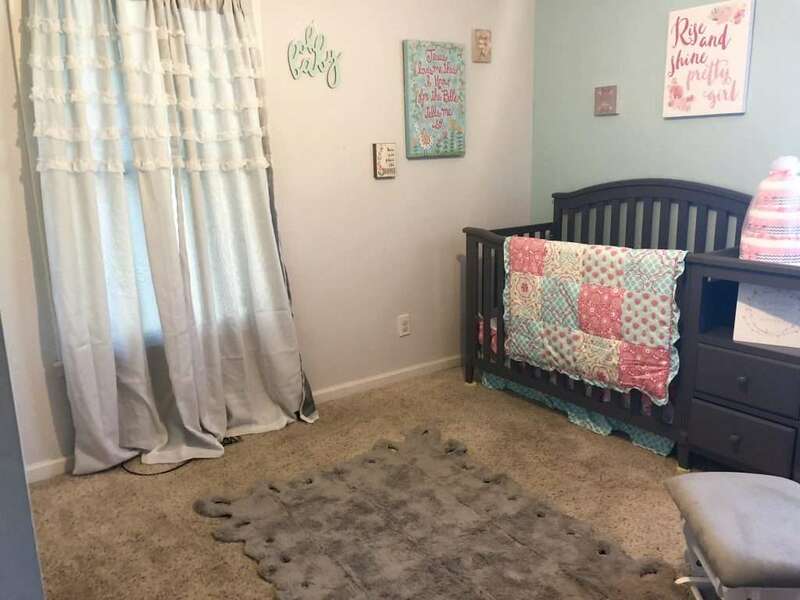 I do have to say a huge THANK YOU to my family for helping to put her nursery together, from late nights putting her crib together to helping to organize her closet – we couldn’t have done this without you! 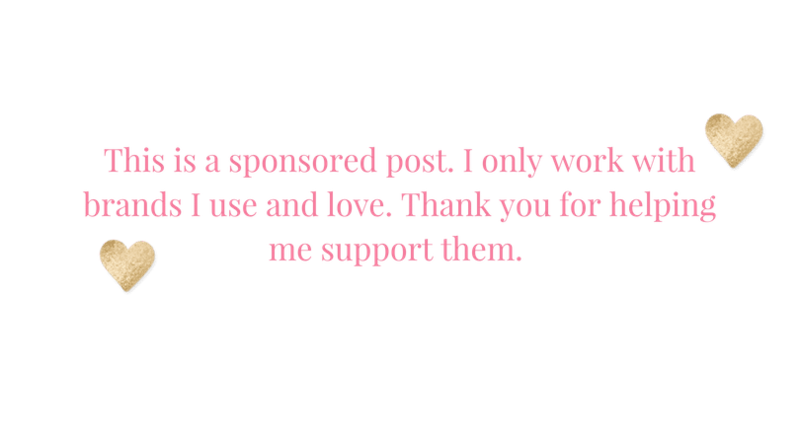 Now, for the fun part: all of the details about Rebecca’s pink and teal nursery! Well, because I’m lazy, to be honest. 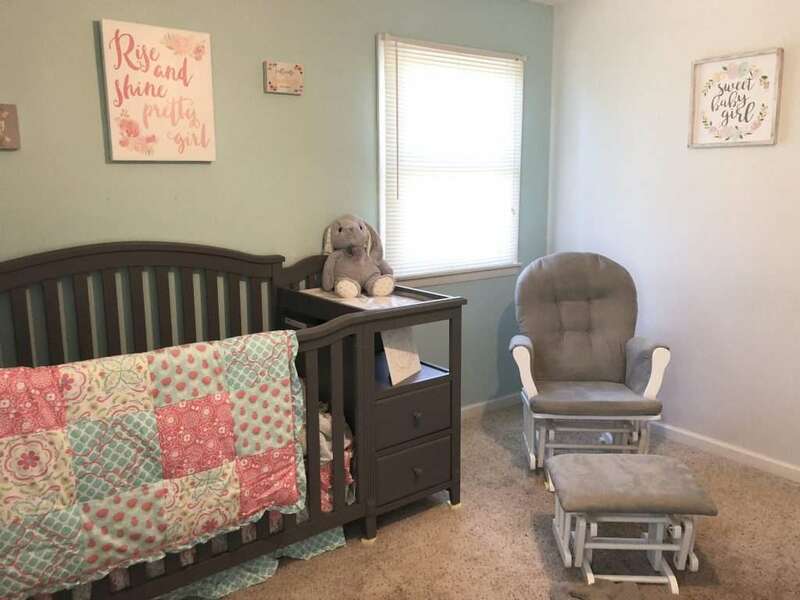 The nursery was my “old office”, and I had painted an accent wall in teal about 6 months before I found out I was pregnant. I knew that we didn’t want to deal with painting again, so I started working on color schemes that would work with the teal wall. I also knew that for baby girl, I had to incorporate pink in the nursery. Yes, I know –everyone does it, but pink is my favorite color and I couldn’t help myself! 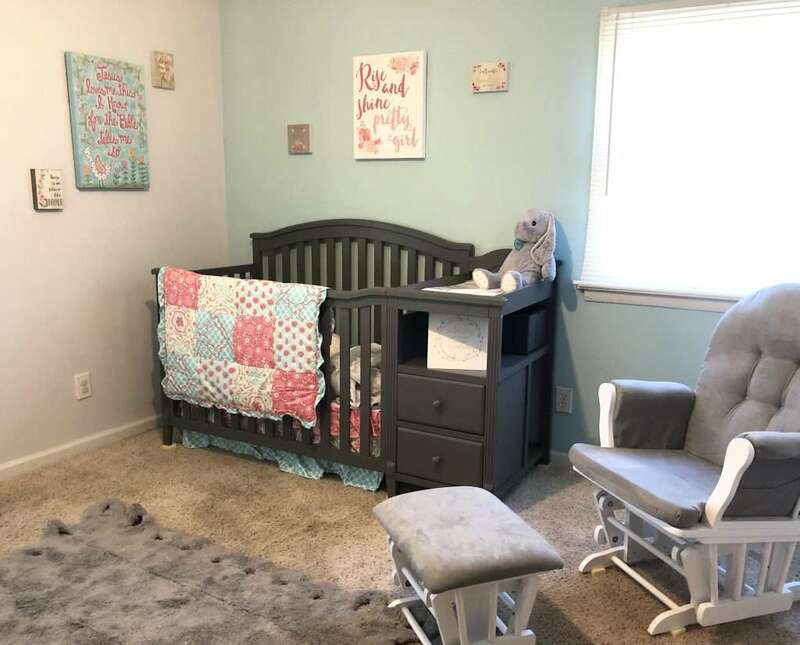 My mom was also generous enough to purchase our girl’s crib for her (before we knew it was a girl), so I selected a gray crib. I knew that with either gender, gray could be accented with a variety of colors and it would also match the teal wall. For what it’s worth, if it was a boy, I had planned on using gray and navy. We use Wayfair for a lot of our home decor needs. With their high quality products, quick shipping and low prices – you really can’t go wrong! I started searching their site for the perfect bedding once we selected a color scheme and ran across this Mila Bedding Set. I fell in love with it! 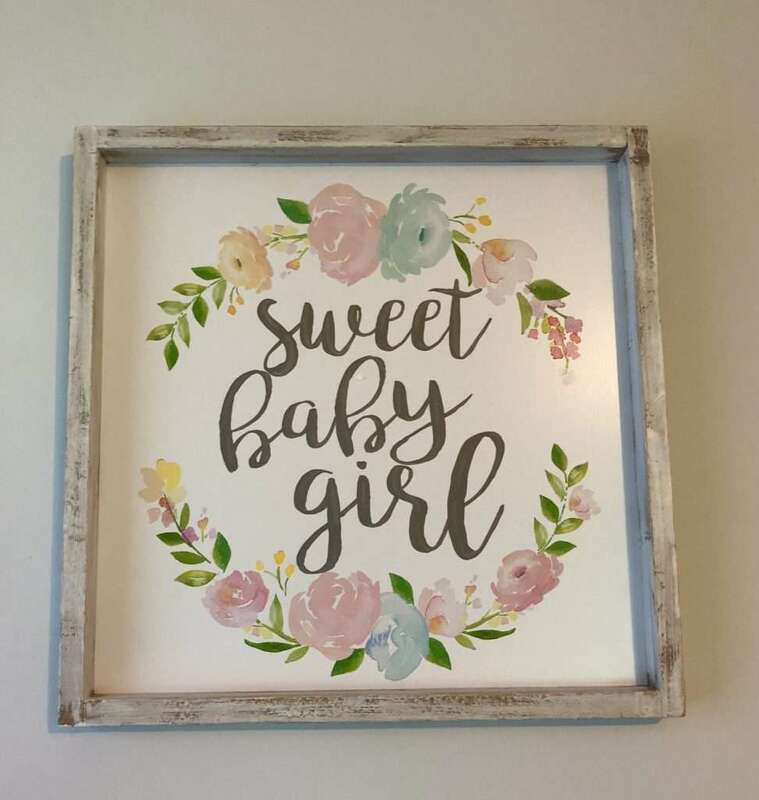 It was perfect for our girl’s room and color scheme. Once we received it, I couldn’t wait to open it. The quality is wonderful and it is beautiful! For more bedding from Wayfair, you can visit here. As I mentioned before, my mom was so generous enough to get us her crib/changing table combo. I LOVE the gray color of it! While the one that we have isn’t in stock anymore, below are a few that are similar. I wasn’t sure about the changing table/crib combo at first, but I really do love it! It fits perfectly in her room and and the drawers under the changing table are so convenient. Probably my favorite place in our house currently is sitting in this Windsor Glider and Ottoman from Wayfair. At under $150, you really can’t go wrong with this for your nursery (or any room of your home)! For more gliders from Wayfair, you can visit here. 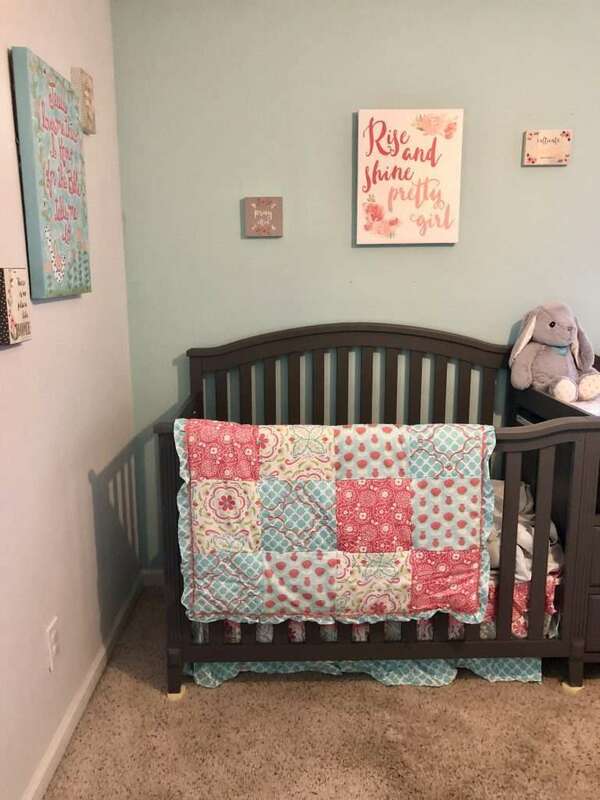 Surprisingly, it wasn’t that difficult to find pink and teal accessories for her nursery! 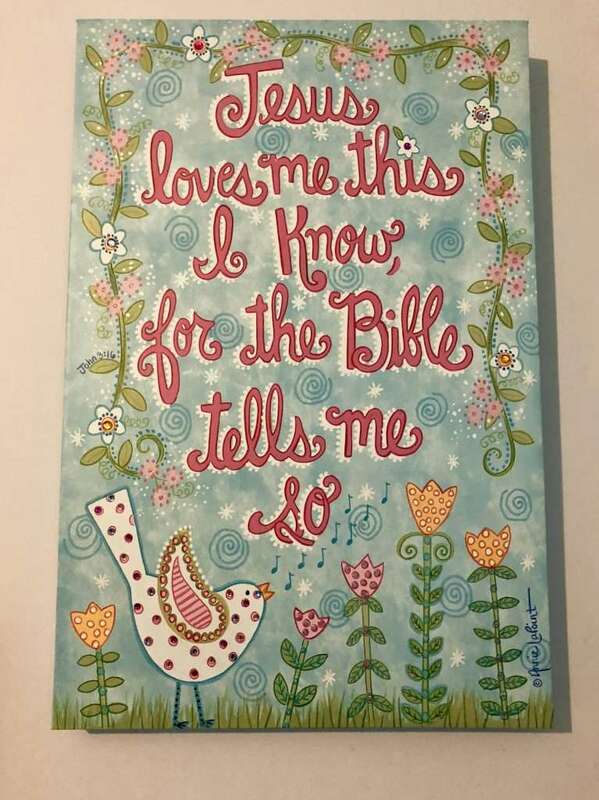 We found several of the wall accents at Hobby Lobby and some on Amazon. Most of the items we’ve purchased are out of stock currently, but below are a few more ideas that are in stock currently! One of the items that I had a difficult time deciding on was her window treatments. I knew that we needed blackout curtains because her room gets a ton of sunlight in the morning. However, I also knew that I wanted ‘frilly’ curtains to tie in her room. These Eclipse Ruffle Curtains turned out to be perfect for her nursery! 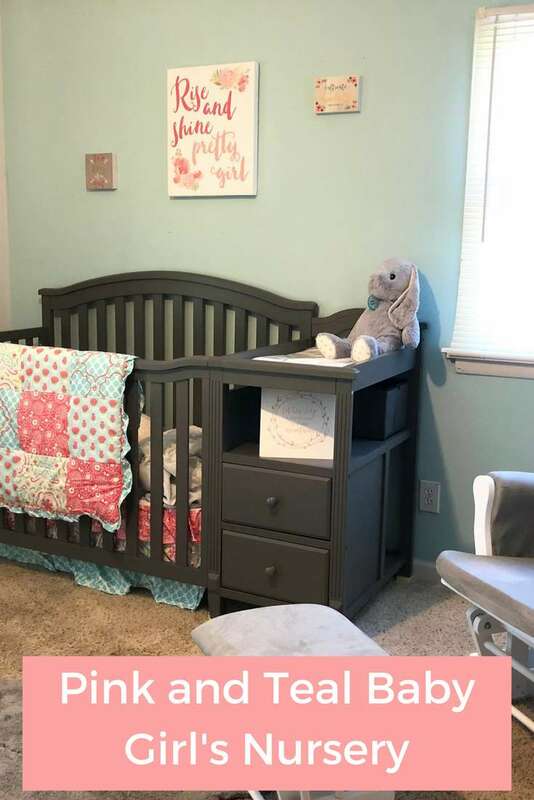 I would love to hear your thoughts on our pink and teal nursery!